Drivers who are weighing their options for a new car may consider the 2017 Mazda3 vs. the 2017 Kia Rio. In various important areas, the Mazda3 proves to be the preferable vehicle, offering superior features where they count the most. Keep reading to find out more! A look under the hood reveals that the Mazda3 models feature much more powerful engines than the Kia Rio. Onboard both the Mazda3 sedan and 5-door models, the base trims are powered by 2.0L SKYACTIV®-G 4-cylinder engines that produce 155 hp and 150 lb-ft of torque. The higher trim levels each feature a 2.5L SKYACTIV®-G 4-cylinder engine that delivers 184 hp and 185 lb-ft of torque. In contrast, the Kia Rio sedan and 5-door models are all powered by 1.6L Inline 4 engines that generate just 138 hp and 123 lb-ft of torque. The Mazda3 models also prove to be faster than the Rio trims. 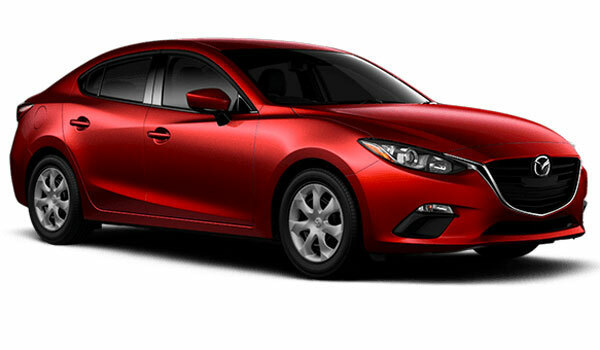 In Motor Trend testing of manual transmission models, the Mazda3 achieved 0 to 60 mph acceleration in just 7.8 seconds. The Rio lagged behind at 8.2 seconds. The Mazda3 also reached a quarter-mile speed of 87.6 mph, reaching that speed in just 16.1 seconds. The Rio, in contrast, only reached an 83.1 mph quarter-mile speed and achieved the same distance in 16.5 seconds. Car and Driver performed similar tests on automatic transmission models from each lineup. As you may predict, the Mazda3 exceled in either configuration. The 2.0L Mazda3 logged 0 to 60 mph acceleration in 7.6 seconds, while the 2.5L Mazda3 accelerated from 0 to 60 in 6.8 seconds. The Rio lagged behind both with a sluggish 0 to 60 time of 9.5 seconds. In terms of top speed achievement, the 2.0L Mazda3 reached 133 mph while the 2.5L model just fell short at 132 mph. Once again, the Kia Rio was at the back of the pack with a top speed of just 121 mph. The Mazda3 models also prove roomier than the Kia Rio. Onboard the Mazda3 sedan models, passenger volume is an impressive 96.3 cubic feet. 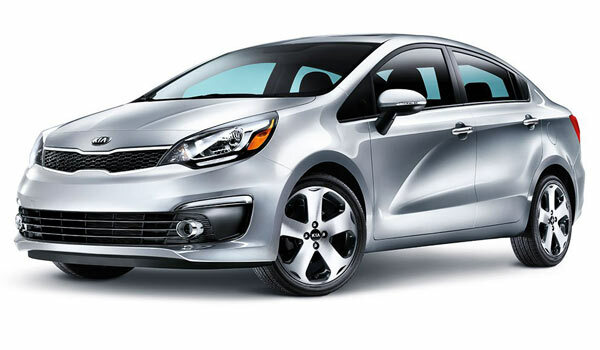 The Kia Rio sedan offers only 88.4 cubic feet of passenger space. In the Mazda3 5-door, passenger room is an outstanding 96.4 cubic feet, while the Rio 5-door has just 88.4 cubic feet of passenger volume to offer. The Mazda3 sedan models also boast 4.1 more inches of front shoulder room, 2.3 inches more rear shoulder room, 4.7 inches more rear leg room, 3.4 inches more front hip room, and 2.3 inches more rear hip room than the Kia Rio sedan. Onboard the Mazda3 5-door models, the comparison numbers are the same. That means that whether you choose the sedan or 5-door model, you’ll enjoy extra space inside the Mazda3. The Mazda3 models further boast a variety of features that are not available onboard the Kia Rio models. Other features found onboard the Mazda3 models include brake assist, available regenerative brakes, a rear stabilizer bar, a remote vehicle starting system, available heads-up display, available rain-sensing windshield wipers, available auto-dimming high beams, available cornering headlights, available heated steering wheel, available dual-zone air conditioning, available automatic air conditioning, and available adaptive cruise control. Drivers can explore the 2017 Mazda3’s many impressive amenities and offerings in person at Biggers Mazda. Come in or contact us today to schedule a test drive!